The Bobster Hooligan is a sleek and stylish sunglasses with photochromic lens, so it can go with you in all lighting conditions. The frame wraps around the face and has a slight "cup" on the edges of the frame to minimize wind disruptions without the need for foam. 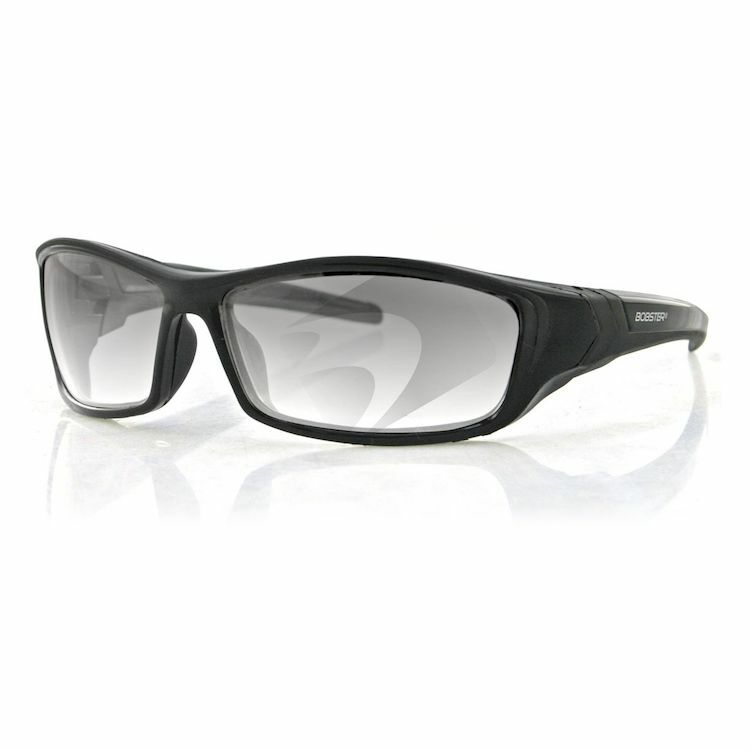 The lenses are photochromic starting with a light tint (85% transmission) and transform to a medium grey (32% transmission) in bright light. The Hooligan also comes with a microfiber pouch for easy transport.